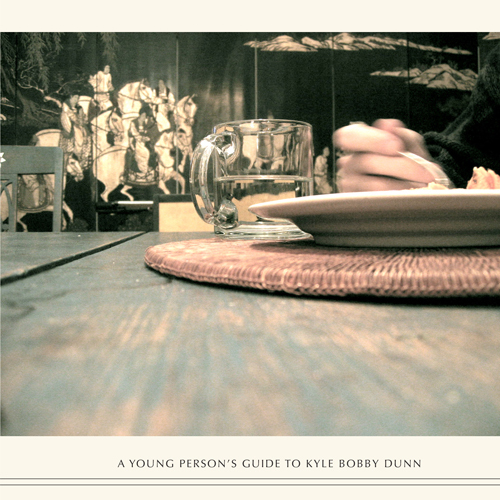 I consider listening to Kyle Bobby Dunn’s work to be like how I imagine time travel could be; sitting in a chair in a dimly lit room, the button is pressed, and the journey begins. Then the walls and world around dissolve and nothing matters, but everything is there through the passage of time. 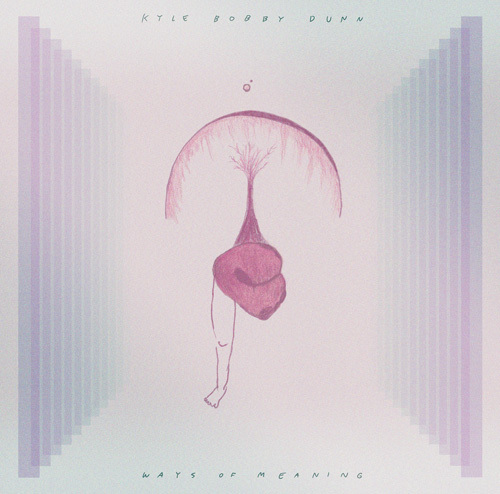 Being a relative newcomer to KBD’s work (having A Young Person’s Guide To… , Ways Of Meaning, and this double CD), I find his work to be mysterious and boundless. I also sense in some of his writings (around the internets and within the liner notes of his albums) that KBD has a rather wry sense of humor (I note the “beurrage” and the stick of butter on CD 1)—an homage to the mundane, but pleasurable. The instrumentation (I have read) is mostly processed guitar, loops and treatments, yet throughout the album almost none of the sounds are readily identifiable—makes it all the more mystifying. The ethereal simplicity of the resonance belies its depth. While his work can sound serious at times, there is a charming and timeless delicacy that instills a sense of wonderment and discovery, but without overt sentimentality. It is like being set free in weightlessness and seeing new things at every turn or blink-of-an-eye and wanting to see and hear more. There is also a sense of being at peace and a reverence to places (of note, Votier’s Flats, Douglas Glen and Diamond Cove; areas close together in the Calgary, Alberta, Canada locale…and is Innisfal actually Innisfail?). I think there are deeply cherished memories in this work. This latest double-CD has a mix of long and short tracks. Canticle Of Votier’s Flats (in Fish Creek Provincial Park) is a short preamble to the journey. There is soft warmth in the slow layering of La Chanson De Beurrage and imagery of trains or ships in the far away during a deep night in Ending Of All Odds. There are some points where there are comparisons to the works of others (not SOTL!). There is a subtle idée fixe that appears in the Douglas Glen Theme that is reminiscent of An Ending (Ascent) from Apollo: Atmospheres and Soundtracks by Eno, Lanois & Eno (which just happens to be one of my favorite tracks from that 1983 album). And what about An Evening With Dusty? I smile. Douglas Glen Theme and The Troubles With Trés Belles have the slightest of hints of sonorous brass similar to the recent Tape Loop Orchestra (Andrew Hargreaves – CD 2) album The Burnley Brass Band Plays On In My Heart. The latter KBD piece possesses a deeply held sense of another time and place, as if the journey is temporarily paused to have a look around…and to remember. The expansiveness of Parkland contrasts with the apparent visceral darkness of the introverted Complétia Terrace. In Search Of A Poetic Whole gracefully surges like an awakening. The album closes with two rather somber pieces and I speculate that Kotylak is a calm dissonant statement of reaction. Works such as this take time to gestate—they’re not just knocked-out in the studio. Understanding memories (often appearing in dreams) are sometimes nebulous, and with time to ponder and sculpt, do clarify into ageless and timeless music such as this. The cinematic parallels are also clear…when I see the long takes of Tarkovsky’s Solaris (flowing water, sinewy highways…) it is as if KBD has translated visions into fluid sonorous existence. This is powerful stuff and I would love to hear it live too. This entry was posted on June 29, 2012 by wajobu. 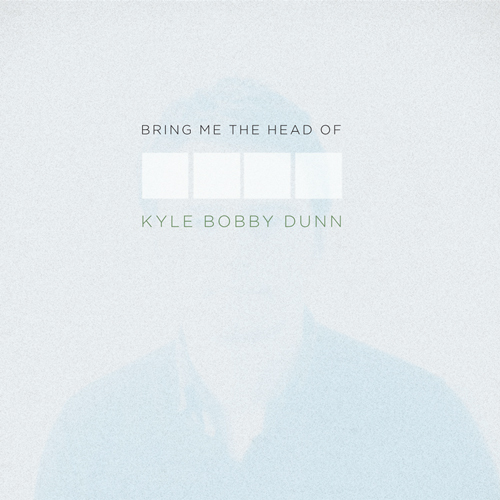 It was filed under Uncategorized and was tagged with AffordableAudio, Ambient, Bring Me The Head Of, Daily Audiophile, Darla, Drone, ElectroAcoustic, Electronica, HifiZine, Instrumental, Kyle Bobby Dunn, Low Point, Music.